Whilst on holiday I mentioned that if you see a Spiel des Jahres award on a game you are guaranteed a good game. 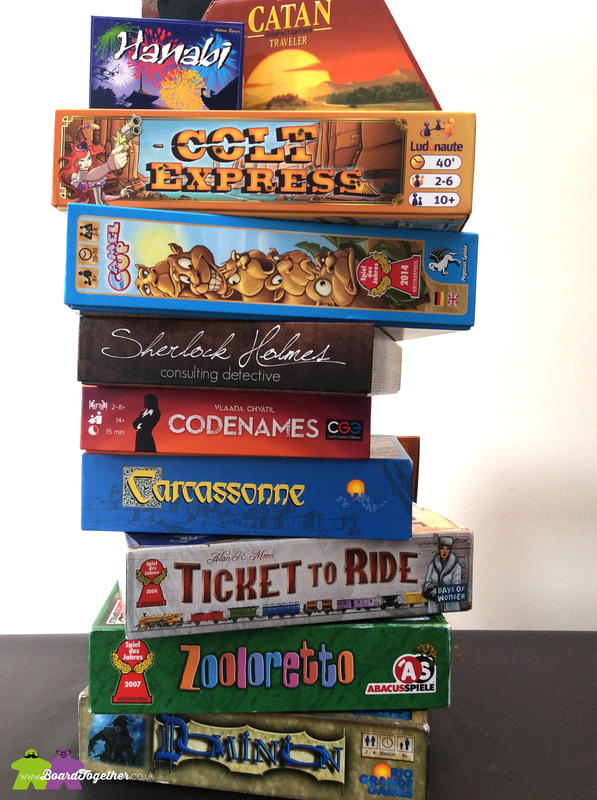 So here are Mike and Tamz’ musings on previous winning games we own or have played. Mike – Brought it but haven’t played it yet… must get onto that. Tamz – Pandemic Legacy was nominated for Kennerspiel des Jahres (connoisseur game) of the year. I am actually glad it did not win. I love the idea of the Legacy games, where you change the game, update the rules and scribble over the board as you play. However Spiel des Jahres is about games that can be played with many different people again and again. The legacy games limit you to one group and once played are sort of ruined if you play again, even with a different group. Pandemic Legacy is great game, no doubt about that, just not a winner of this award for good reason. Tamz – Oh, a 3D train, shiney. I WANT IT!!! 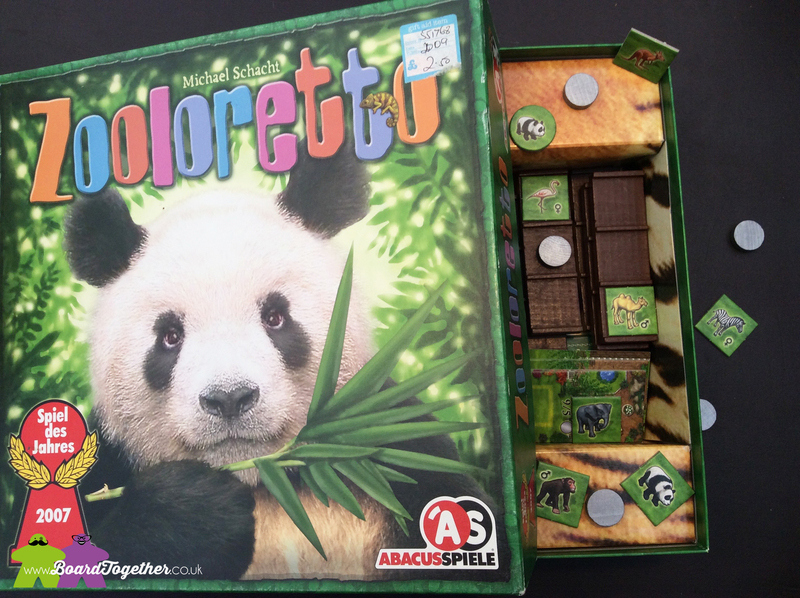 Was pretty much how this boardgame grabbed my attention. This game gets the most play with just the two of us and it is a bit of a mind melting game 2 player, but always a good giggle. You have to plan your moves ahead of time and it gets confusing quick when you have to manage two characters. We get up to all sorts of hi-jinks, thinking we have it sussed and spending a whole round doing nothing! This game is better with adults, you can trade insults and get into the roleplay of playing a wild west stick ’em up game. 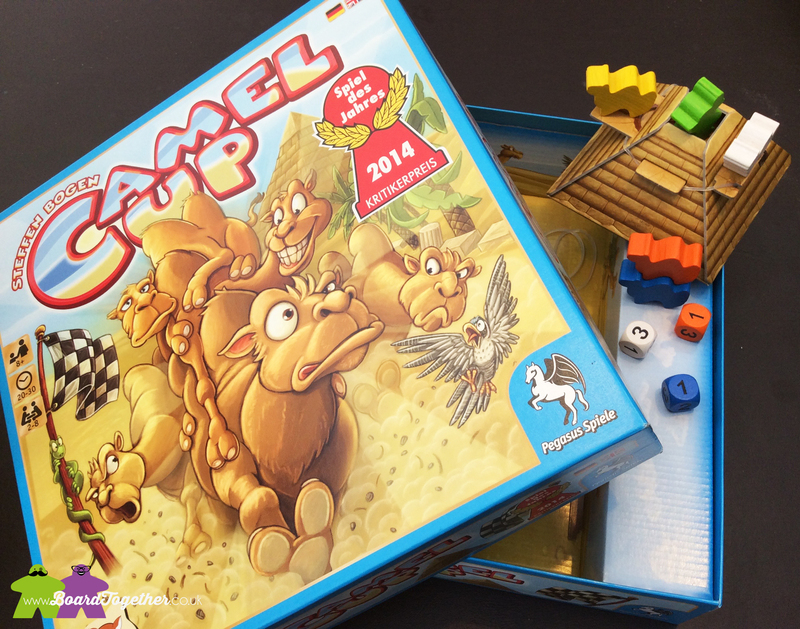 Tamz – Splendor was also nominated this year and shows how good Camel Up must be to beat this game. Camel Up may be a betting game, but is a big laugh at the same time. We played this with seven year old Jack on holiday who had a blast moving all the camels. This does speed the game up as there is a lot of other things to do, not just race the camels. However it kept us adults on our toes as we had to be quick with any strategy!! 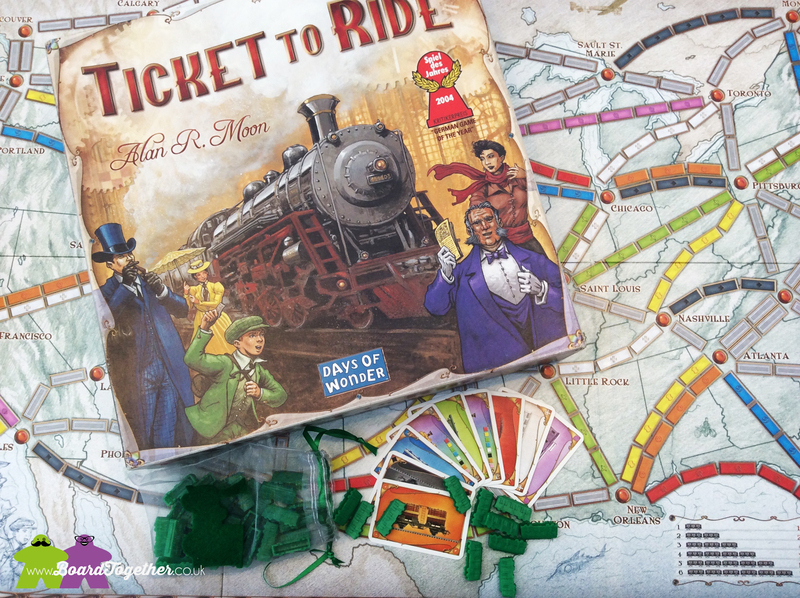 This game only just works with younger ones, they may not get all the nuances, but it is still a fun family game and a great step up from the likes of Monopoly and dare I say it, Ticket To Ride!!! 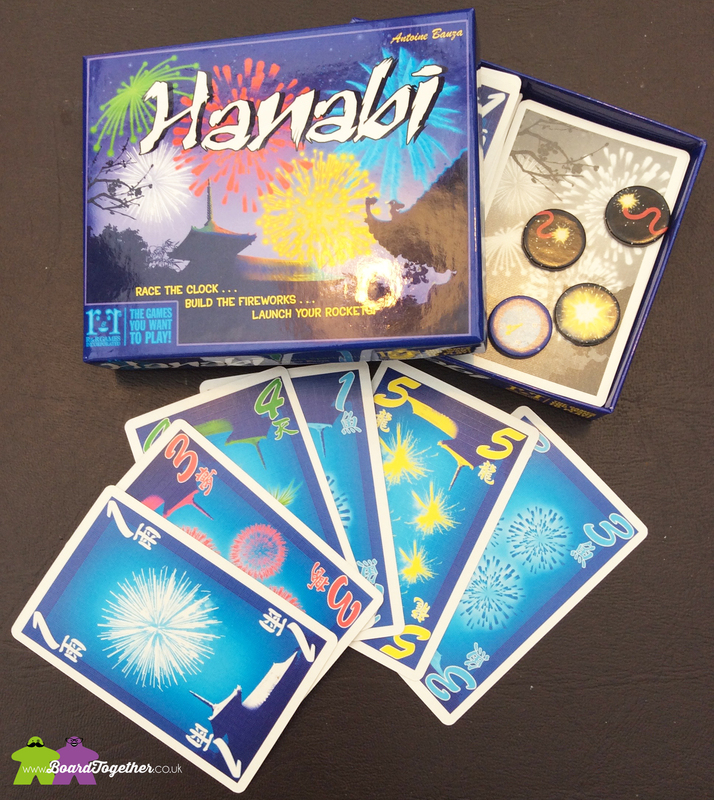 Tamz – Knowing this game won Spiel des Jahres I purchased this cardgame without really knowing anything about it. Mike and I played it once and did not get it. I am sure with more people and a few more plays we may understand the fun. As it stands we have left it on the shelf to gather dust. 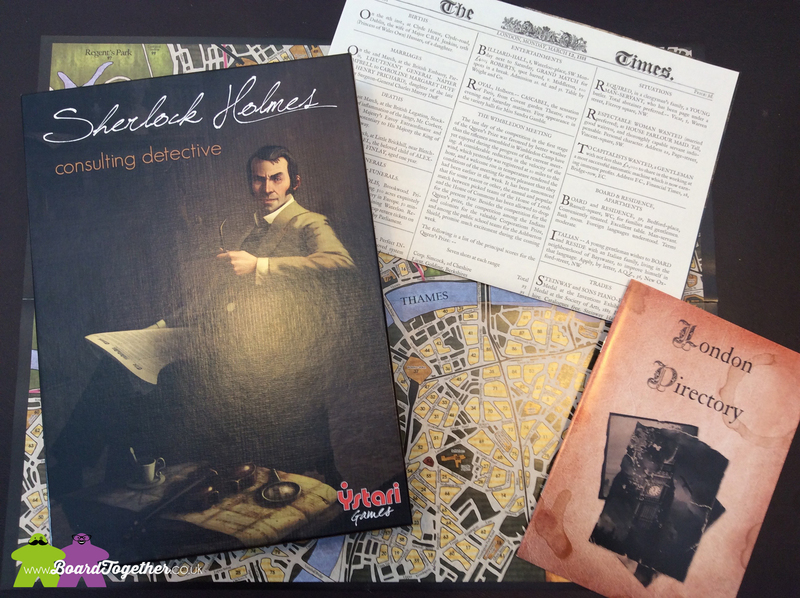 Um, we don’t know anything about this boardgame, oops! 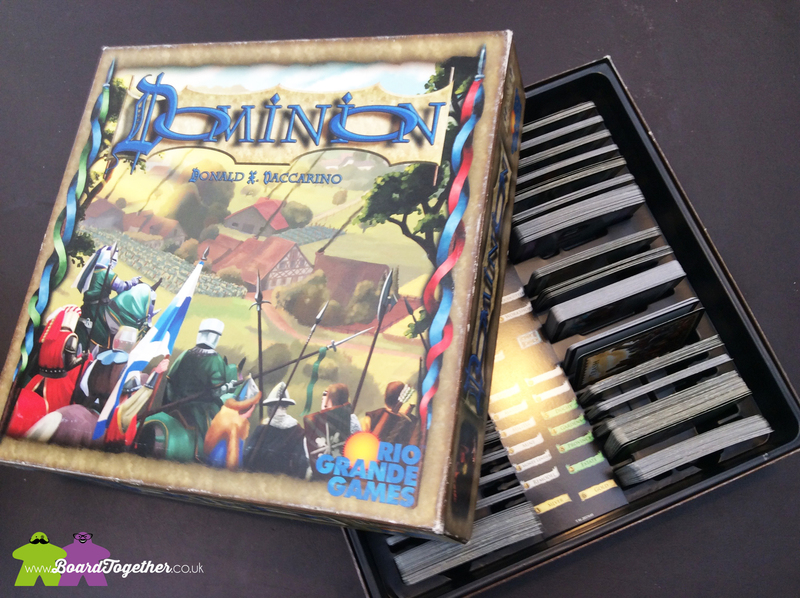 It is published by Queen Games, a company we know make great games, so worth a look. Tamz – It tickles me that this game can be found in places like Toys R Us, boardgames are going mainstream! Yay! Not sure what it is all about, it is on my wish-list, just never played. Tamz – A 3 player boardgame, so as interesting as it looks we have not purchased it. 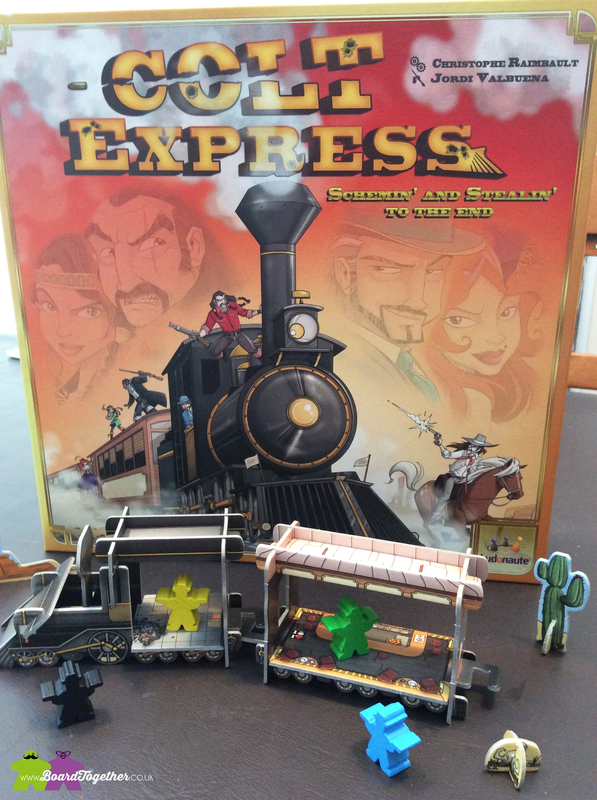 We decided our shelf space is precious and only minimum 2 player games get a look in! However, this is a game aimed at families to encourage storytelling and imagination of kids. Tamz – This is a funny cardgame. We play it, we love it, it sits on the shelf for aaaaaaaages. This game was THE game when it came out, it eclipsed everything and was played eeeeeeeeverywhere. Yet now it hardly gets a mention. I would say this is a good game for adults and pick it up if you see it cheap somewhere. 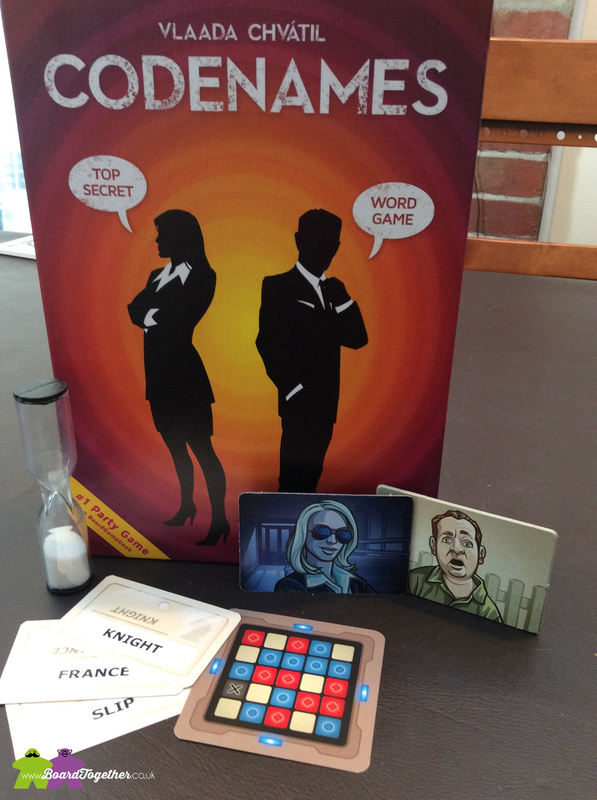 Um, we don’t know anything about this boardgame, oops! Agricola got a special prize this year. A good game, but boy does it have the worst rule book ever! Poor Mike had to learn alllll those rules and then we only played the game once or twice. It has been re-branded and streamlined a few times over the years. Mike – Picked it up at a second hand shop for £2.50. Best purchase EVER! Amazingly simple but it has a bit of everything. Area control, pushing your luck, playing with cute animals what could be wrong. Well, I think we all know how good this game is. Played it with my parents and they ask to play it again every games night. Seriously, do we have shares in this boardgame or something! Tamz – I don’t know anything about this boardgame, but I do still see it everywhere, no mean feat for a boardgame these days. 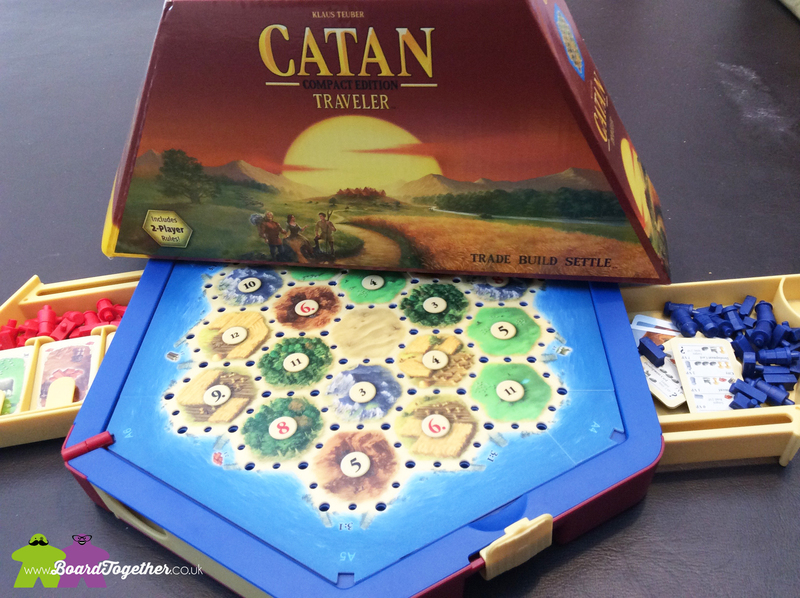 Tamz – This is a great gateway game. If you liked Ticket To Ride but want a bit more strategy, this is the one to go with. Not sure about playing with Jack, then again he would probably pick it up no problem now we have introduced him to various boardgame mechanics. This game also has a ton of expansions, so you can introduce new variants when you have mastered the base game and want to refresh the gameplay. Tamz – Another 3 player boardgame, so we do not own this classic. Amongst gamers this has a reputation similar to Monopoly with friendships ruined and families fighting! It also gets a lot of love. I would recommend getting the Junior version if you want to play with the kids, or stick to the normal version for adults to enjoy again and again. We own the traveler edition, it has sort of been played the once! 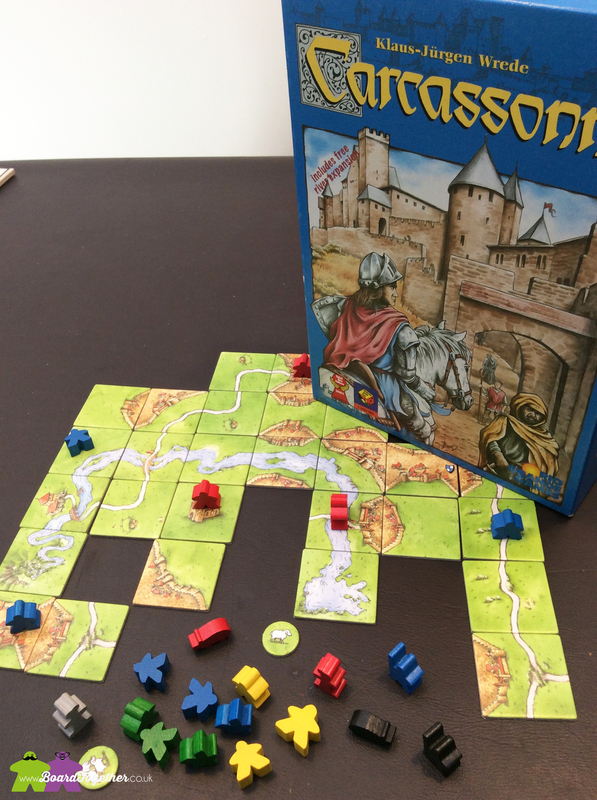 Tamz – This boardgame recently got a reprint. Great timing as we all love Sherlock now thanks to the BBC! This is defiantly a game for adults, and competent ones at that. Mike and I do not fall into that category and failed dismally when we played this game the first time. Still, we enjoyed it and want to find the time to sit down and play this regularly. We just choose to do that with Pandemic Legacy this year. This game is similar to the legacy games and once you have played through a case study you cannot play it again as you know the answer. Kinderspiel des Jahres – kids boardgames. Who knows about these, they are all German and I recognise so few of them! Only Mmm! And Loopin Louie stand out, both huge fun and even Noah could join in with these.